We have established ourselves as a prominent and trustworthy supplier, exporter and manufacturer of Indian Rice with our Head office in Rajkot, Gujarat, India. We source some of the top most qualities of rice for dependable cultivators, who ensure that the rice is naturally grown and has no harmful chemicals or pesticides. 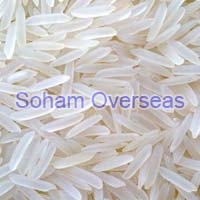 We offer a wide range of this product in the long grained Basmati as well as Non-basmati variety. With our expertise in the industry, we are engaged in offering the best range of Non Basmati Rice at very affordable rates. We offer the most common payment methods including both offline and online methods to pay for purchases from us. Also, we ensure that our payment procedures are safe.